Take a walk around Costa Rica’s capital San Jose after touching down at the airport. At first, you probably won’t notice anything particularly special about how Costa Ricans dress. Many people in – especially in the cities – wear Western clothes similar to you or me. The streets come lined with apparel brands which you will recognize. Spend some more time in the country, however, and you will learn that this country is home to a rich tradition of interesting and exotic Costa Rican clothing and that many people still wear their native dress today. Costa Rican traditional clothing is full of both beauty and meaning. They reflect the country’s Spanish roots, economic history, and passion for fun and dancing. For men, this means a shirt, jacket, and pants. These are often white, and give the wearer an elegant and classic look. This is topped off by a wide-brimmed cowboy-style hat, a legacy of the traditional work done outdoors in the sun. A red cummerbund (a belt-like sash worn around the waist) is also usually included. This outfit as a whole demonstrates the proud nature of the Costa Rican people. Even the poorest farmers take pride in looking smart and presentable. The clothes traditionally worn by women are extremely distinctive. It involves a ruffled blouse and a long flowing skirt. Normally they are extremely colorful with the blouse usually having a trim. The skirt is striped horizontally with bold primary colors. Any combination of colors used. With the red and blue of the Costa Rican flag always popular. Often their hair’s braided, and sometimes flowers added as a final touch. Like with almost every aspect of Costa Rican culture, traditional dress varies depending on which part of the country you visit. For the most part, the same basic aspects of the costumes remain the same, but there are differences which Ticos use to demonstrate their regional identities. In San Jose for example, a black ribbon’s worn in the hair of the women as well as on her blouse. Heredia’s dark colors are more prevalent than in the rest of the country. In Puntarenas, they complete the outfit with a Spanish scarf, while in Alajuela dresses are noted for their relative austerity in comparison to the rest of the country. Larger variations found in Costa Rica clothes will usually be found among the country’s two minority populations. On the Caribbean coast, traditional clothing’s heavily influenced by African designs, and this is a reflection of the origins of the population. Here women wear full-length dresses which usually contain intricate African patterns. While they are certainly no less colorful than the clothes worn by the rest of the female Costa Rican population, the combinations of colors are very different. Head wraps and African turbans are very common. Traditional men’s wear is similarly patterned, and the most popular item of clothing is a long tunic which reaches down to the knees. 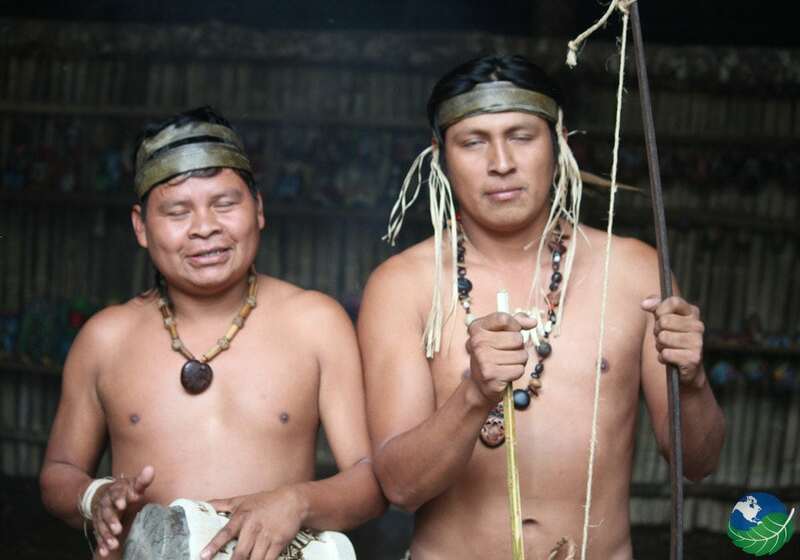 The country’s indigenous population has its own, completely different, traditional clothing. As with Costa Rica’s general population, presently no longer worn on a day to day basis. However, still seen on special occasions. There is some variation between the different native ethnic groups, but their costumes consist of colorful woven tops and patterned shawls worn to cover the legs. Hats are also common and are often adorned with feathers. Jewelry’s also accessible and made of metals, stones, or wood. Those groups which are least westernized can occasionally be seen wearing grass skirts and bamboo piercings. When do Costa Ricans Wear Traditional Clothes? Today, they do not wear traditional Costa Rica clothes every day, and will much more likely see locals wearing things not too dissimilar to yourself. That said, in rural areas the costume men wear is often not too different – although significantly less elaborate. Ticos will look for any excuse to get their traditional clothes out, normally seen at dances, festivals, and religious celebrations. 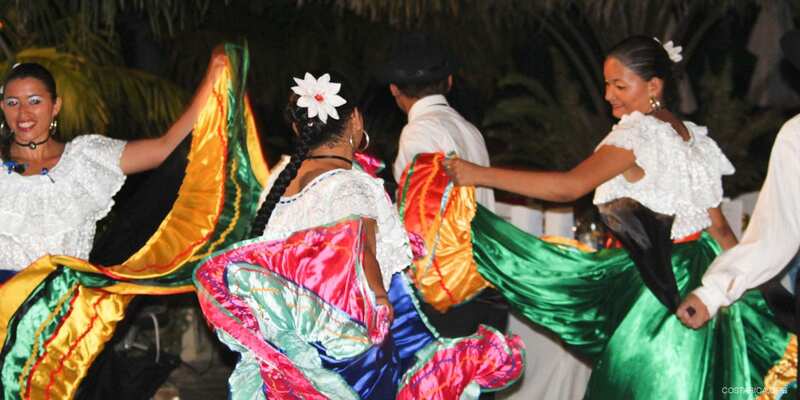 The costume’s closely associated with Costa Rican dancing, and you will never see a dance take place without it. One of the most frequent moves involves the women lifting their skirts and swirling them around to create a blur of color. On the Caribbean side of the country, global African trends have influenced the festivals and clothing of the population. During their festivals, it is now fairly common to see women in carnival dress just like that you might see in Brazil.